In the “Making of God of War III” bonus video, game director Stig Asmussen stated that he wanted this game to be one of the games “define the generation”. Having finished the final chapter of Kratos’ epic tale, I’d say he and Santa Monica Studios succeeded. I thought the game was going to be God of War II with an extra coat of PlayStation 3 paint, but I was wrong. On the surface, it can be viewed as such, but under that gorgeous layer of HD graphics was an action game offering a level interactivity which was both familiar and liberating. From beginning to end, this game entertained and one that I want to revisit time and time again. Starting off with a bang was to be expected in a God of War game and it would have been no exception here if it wasn’t for a tiny bug. Funnily enough, I encountered a bug right off the bat. 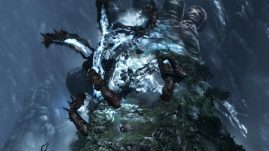 I couldn’t trigger a cutscene which prevented me from moving forward. A simple restart to the last checkpoint fixed that problem, but it was indicative of the little bugs and glitches that I would encounter throughout the game. Most of them were animation related, but some — like invulnerable enemies — marred an otherwise technical marvel. There must have been some kind of internal bet going on between Sony’s first party developers. 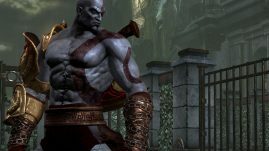 Between Killzone 2, Uncharted 2 and now, God of War III, there’s no shortage of graphical showpieces for the PlayStation 3. Kratos’ latest incarnation was absolutely stunning. He’s the star and it’s obvious they focused their efforts on his character model — even to the point of contrasting against others. Very few human characters in this game exhibited his complex musculature and lavish details. Demons such as the minotaurs and gorgons, on the other hand, rivaled Kratos himself. The first time I laid eyes on the scales of gorgon, I was awestruck. Is there an award for most convincing snake skin? But the impressive tech wasn’t just for show. Many battles were waged on the bodies of the Titans which kept encounters spontaneous. Where I would end up next was always a mystery. And even while the camera zoomed out to demonstrate impressive scale of the Titans and graphical prowess, combos kept flowing seamlessly. That’s the one thing I loved most about God of War III; the near seamless transitions. In God of War III, they gave Kratos the ability to pull himself towards the action without worrying about piddly attacks to keep that combo meter going. It’s an elegant alternative to rolling and one I used profusely. They also included viable weapons for Kratos this time around. In past games, I rarely strayed from the chains since they were so versatile. 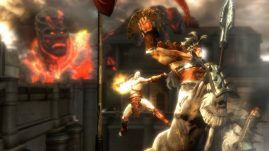 For the this installment, every weapon was derived from Kratos’ default chain weapon and thus they were far more useful in combat. But even if I found myself using the wrong weapon, the ability to switch between weapons mid-combo compensated for that. Crowd control became an important skill to master since the number of enemies could vary drastically between one battle and the next. Sometimes it’s one on one, while other times I was facing a brute with a small army of undead warriors at his disposal. And these things weren’t shy about ganging up on me either. Fortunately, Kratos was given additional tools to better handle such situations. All of which I had direct control of and were extremely satisfying to execute. 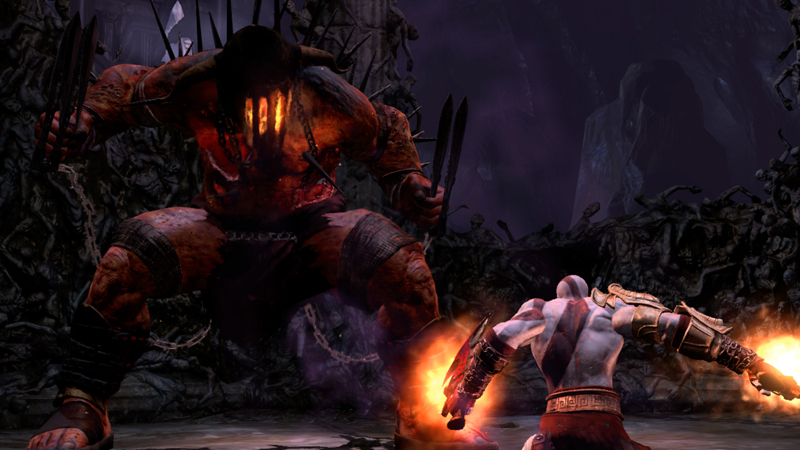 There’s a lot of anger in God of War III. Kratos’ brutality is shocking at times. If it were not for the “300” styled cutscenes, I would have been convinced that he had forgotten why he was going after the Gods of Olympus. As a fan, I was delighted to see that they touched upon previous events — including those that transpired in Chains of Olympus. I was also pleased to see that they didn’t need to scrape the bottom of the Greek mythology barrel for content. I may be in the minority on this, but I enjoyed the ending. It contrasted well with all that rage and adrenaline without becoming convoluted. To my surprise, this wasn’t a very challenging game on the default difficulty. Comparatively, I found it second to Chains of Olympus in terms of ease. I rarely fell in combat thanks to how the quick time events have been altered to better reflect the on screen action and how it mapped to the controller. Most of my deaths were attributed to the fact that I’m so used to jumping at the edge of a surface. And since Santa Monica Studio decided to erect a tiny invisible wall at the edge, it fudged many of my jumps. Minor foibles aside, I found the game to be very well paced with minimal backtracking and the absence of silly block shifting puzzles. The latter being very ironic since Kratos can finally rotate objects without the need of contraptions. 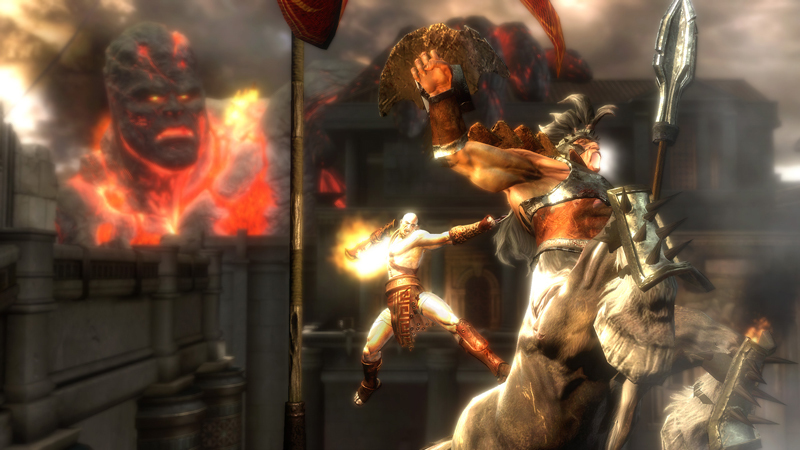 God of War III further cements the legacy of Kratos and this franchise as some of gaming’s finest. There are a number of reasons why people describe imitators as “God of War clones” and this final chapter is another massive bullet point to that list. 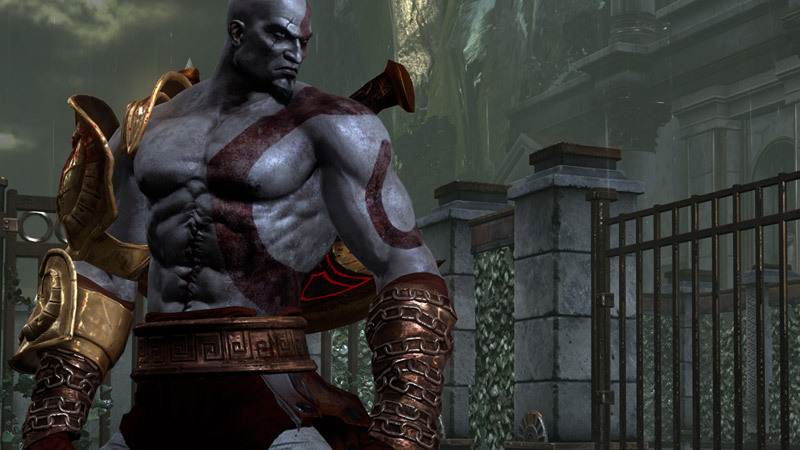 It must have been tough to top God of War II, but Santa Monica Studio did it. They’ve created a bigger spectacle, a more engaging combat system and told an entertaining tale to top it off. It wasn’t without its issues, but they did not hinder the overall experience in the slightest. I waited three years for this game to arrive and it was certainly worth the wait. Now to replay it on Titan Mode. For? more information on God of War III, visit the official website.